Curious how personal trainers exercise? Here's their routines. 4 personal trainers share their quick at-home workout. 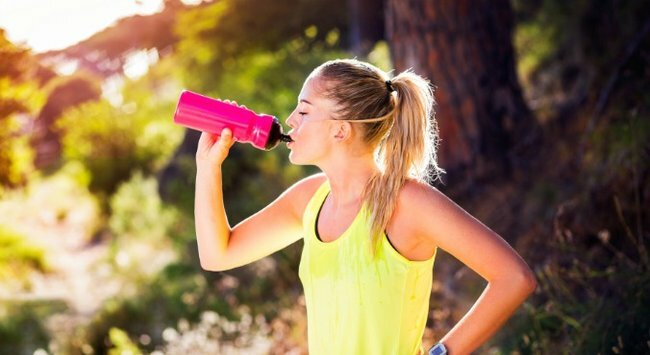 Ever wondered what personal trainers do for exercise themselves when they’re not at the gym? 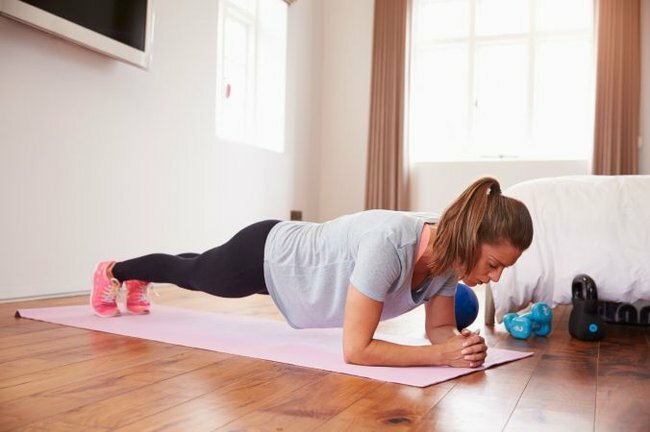 We asked four to share their 30 minutes or less at-home workouts. “I do this all over the world, whether I’m in a hotel room or travelling, wherever. It combined flexibility and mindfulness with strength and metabolic benefits, it’s really complete and really effective. I can tell you, there are Academy Award winning actresses and Victoria’s Secret girls doing that all over the world as we speak,” he says. Anyone else never been keener to exercise? Then it&apos;s time for the circuit. Do 30 seconds of each exercise, then repeat the circuit four times before stretching. Mountain Climbers. Tp do these, start in a push up position, drive your knees up and down as if you were running. "Though I&apos;m frequently at the gym, I don&apos;t always like training at my place of work. As I&apos;m spending more time on my online coaching and therefore at home a lot, I&apos;ve developed a quick 20 to 30 minute body weight circuit that hits all major muscle groups, shoots up my heart rate and leaves me feeling energised instead of exhausted," he says. Perform each exercise for 60 seconds being sure to move immediately from exercise to exercise. Your goal is to perform three rounds of the circuit, resting for up to three minutes between each one. 4. Towel Isometric row. To do this, wrap a towel around something solid like a bed post. Holding each end with your hands pull as hard as you can. "A session like this should be done at least three times a week and because its only 30 minutes, make sure to leave nothing in the tank - push yourself!," he says. Warm up with a quick sprint or five minute jog and stretch. For the circuit, group three exercises that work different muscle groups together. Do each for 30 seconds and repeat the mini circuit three times before taking a short break and moving on to the next one. Once completed, cool down and stretch. Push ups, sit ups and a 20 metre run. Jump squats, shoulder press and mountain climbers. Reverse sit ups, burpees and a 20 metre run. Tricep dips, upright rows and mountain climbers. "From my front door I do a two and a half kilometre run, stop to do exercises at the beach and then run back. It gets me out of the gym and into the fresh air which is really energising at this time of year. This workout hits every major muscle group as well. A squat for your lower body, an upper body push with the push up, upper body pull with the pull up and of course a nice and challenging core exercise with the dragon flags," he says. Warm up with a light jog or run and stretches. For the circuit, work through the four exercises, then repeat two more times. 4. 10 x anchored leg raises. For these, lie on the floor and put your hands above your head to either hold onto something secure or hold onto a weight. Holding your core firmly, slowly lift your legs up raising them as high as they&apos;ll go. Hold, then slowly release. What&apos;s your go-to at-home workout?